QLD Driving Test provides a range of free resources to help you pass the Written Road Rules Test. These tools will improve your chances of getting your learner licence (L plates) on the first attempt! Click on the links below to access the resources. The QLD Driving Test summary of Your Keys to Driving in Queensland condenses the 181-page document into just 90 pages. The summary concentrates on assessable material and allows for targeted and effective revision. Test your knowledge using practice tests provided by the Department of Transport and Main Roads. Simulate the real test so you can guarantee you'll pass on your first attempt. Access and download all of the sample questions provided in Your Keys to Driving in Queensland. QLD Driving Test also provides practice tests using these questions to make your revision more effective. Use study tips collected from people who have passed the Written Road Rules Test to more effectively prepare for the test. Tips for booking and taking the Written Road Rules Test that give you the best chance to pass on your first attempt. The specifics on the Written Road Rules Test - what's assessed and how. 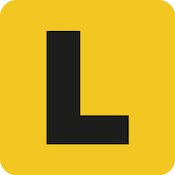 Details on the Written Road Rules Test prerequisites, features of the learner licence (L plates), and the requirements to progress to the provisional P1 licence (Red Ps).